Please note: All regional meeting first place winners must notify the Best Practices coordinator whether or not they intend to compete at the annual meeting by May 1. 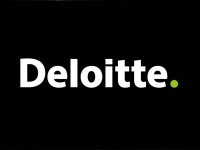 Best practices are activities created and completed by a chapter to further specific goals identified by the board of directors of Beta Alpha Psi and by Deloitte LLP (Deloitte). These activities exemplify the spirit and purpose of Beta Alpha Psi and, if applicable, allow other chapters to emulate those activities. All chapters are eligible to participate in Best Practices. Chapters submit the online abstract form that will be reviewed for approval per the guidelines stated in the Best Practices Manual. Chapters present at their regional meeting. Winning chapters (first, second, and third place) receive verbal recognition and a monetary award. Participating chapters must deliver all presentation-related materials (including their presentation on a flash drive) to the appropriate location by 1:00 pm local time on the first day of the regional meeting. In the event of travel delays, the presentation must be emailed to bap@bap.org by 1:00 pm local time on the first day of the regional meeting. First place regional meeting winners present at BAP’s annual meeting. Winning chapters at the annual meeting earn verbal recognition and an additional monetary award. Winners are determined by a group of judges made up of board and Professional Partners members. Judges act independently of any student, college/university, and chapter affiliation. For more information, you may contact the Executive Office at bap@bap.org or (919) 402-4044. College often has us focusing on trying to make an immediate impact in a short period of time, but stronger communities are built on lasting foundations that don’t always come together quickly. This year’s theme revolves around the concept of planting a tree now so that future generations will have shade. Focus your emphasis on three key components of the BAP strategic plan – widening the reach, innovating knowledge sharing and increasing gratitude. How many members were involved in your project? How many nonmembers? How long was the preparation time? How many hours were spent on the project? What were your expectations and goals for your project? How did you determine you would measure success? What were your challenges and how did you meet them? How can another chapter replicate or implement this best practice? Is this project new for your chapter, or something that has been ongoing? Why is this a “Best Practice” and how is this different than anything done before? The roots of the profession are that we are trusted advisors, whether our focus is accounting, finance or information systems. The world looks to us as a profession because of our ethics, integrity and our belief in our core values. What has your chapter done to foster lifelong ethical, social and public responsibility among your members? What programs are unique to your organization on campus or in the community around you? Have you been able to use social media to expand that outreach? How does your chapter use technology to reach out to members in your community in finance and information systems, as well as accounting? What special programs have you implemented to widen the reach in your membership? Technology is a rapidly changing area. How are you thinking outside the box of “what we’ve always done” to create new and innovative ways to keep your membership active and engaged? A key component of BAP is providing opportunities for service, to encourage growth and provide support to those in your chapter, on your campus, and in your community. How has your chapter reached out to an underserved community within your neighborhood? How did you decide which organization you wanted to align with? What new and innovative programs have you tried? What successes have you had with regards to service? If you’re a long-time chapter with a record of service, how do you keep your service projects fresh from year to year? If you’re a new chapter, what challenges have you faced and what have you learned from them? All participating chapters are required to use the new logo. Failure to use the new logo during competition will result in disqualification from winning first place. Please refer to the branding policy and branding guidelines for more information.